To benefit from technology, we need resourcefulness. It means to be constantly looking for new tools with which to augment our intelligence. It also means new services: if you have a smartphone in your pocket, you should have an easy access to education in your pocket. Smarter and smarter tools surround us, but if we don’t want to learn the new practices and take up the new roles that the new technologies make possible, they might as well not be there. It is sometimes not easy, because the challenge with new technologies is, what is called “functional fixedness”, our inability to see more than the most obvious use cases. There is more to being intelligent than using the latest technologies; how we interact with others is a crucial element of how smart we are in practice. Intelligence is social and arises in communities and communication. The world has never been a more networked place, and yet schools and workplaces still focus on individuals. That needs to change. Learning How to Learn. Being part of a formal learning environment is like building the scaffolding for a house. Once you enter the “real world,” the frame disappears and it’s up to you to stay standing. Knowing how to teach yourself–and having a willingness to do so–is the only way to build a lasting foundation. Knowledge sharing gives staff a voice. Makes them proud of their knowledge and their performance. Knowledge sharing through social technologies leads to more visible recognition. Just imagine the strength of a “like” by the CEO or the executive management. So knowledge sharing has a positive impact on staff commitment. The new Libranet is a model for facilitating in-person study groups at community libraries, organized around open online learning courses and content. On top of these materials, the model will scaffold a community learning environment to actively foster academic mindsets that are critical to deeper learning and future success of adult learners. Video interview with Asimov in 88 who pretty much knows exactly what’s going to happen between then and now. 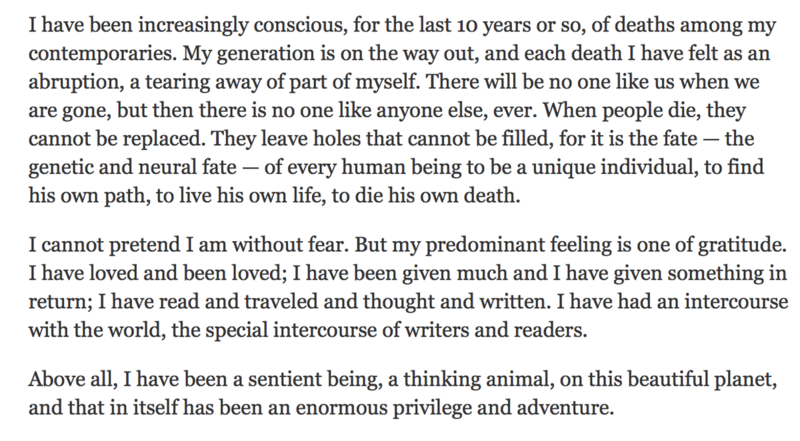 Dr. Oliver Sacks died this week, the above is in his own words.